Маленький Итальянский Jazz Лэйбл (Rome). Цена дисков умеренная (ориентировочно 17у.е. в Москве). Диски характеризует прекрасное качество звучания и оригинальный фирменный дизайн. 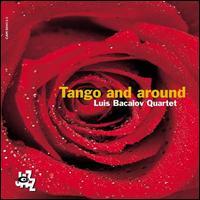 CAM 5044132 BACALOV, LUIS -QUARTET- TANGO AND AROUND Luis Bacalov piano; Ulises Passarella - bandoneon; Giovanni Tommaso - double bass; Daniel Bacalov - percussions. Recorded on 28, 29, and 30 May 2001 in Rome (SONIC Recording Studios). CAMJ 77622 BONAFEDE/RAVA/ABERCROMBIE JOURNEY TO DONNAFUGATA 08/07/04 Salvatore Bonafede (piano); Enrico Rava (trumpet); John Abercrombie (guitar); Ben Street (bass); Clarence Penn (drums) and guest by Ralph Towner (guitar) and Michele Rabbia (percussion). CAMJ 77412 CLARKE, KENNY/BOLAND, FRANCY -BIG BAND- MORE Benny Bailey (tp,flh), Idrees Sulieman (tp), Shake Keane (tp), Jimmy Deuchar (tp), Ake Persson (tb), Nat Peck (tb), Eric Van Lier (tb), Derek Humble (as), Johnny Griffin (ts),Don Menza (ts) Ronnie Scott (ts), Sahib Shihab (bs,fl), Francy Boland (p,arr), Jimmy Woode (b), Kenny Clarke (dr). Recorded in Rome, (Italy) 07.17.1968. 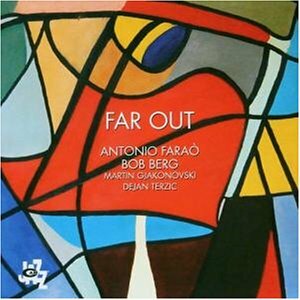 CAMJ 77572 FARAO, ANTONIO/BOB BERG FAR OUT 08/07/04 Antonio Farao piano w/Bob Berg on sax, Dejan Terzic on drums, and Martin Gjakonovski on bass. Recorded on 9, 10, 11 October 2002 at Bauer Studios, Ludwisburg (Germany). CAMJ 77672 FARAO/TERZIC/GJAKONOVSKI ENCORE 08/02/05 Antonio Farao piano, Dejan Terzic on drums, and Martin Gjakonovski on bass. Recorded on 18 and 19 May 2004 at Bauer Studios, Ludwisburg (Germany). 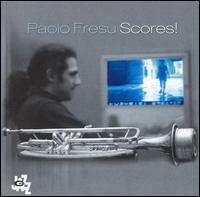 CAMJ 77582 FRESU, PAOLO SCORES ! 08/07/04 Paolo Fresu: trumpet; Diederik Wissels: piano; Nguyen Le: electric guitar; Furio Di Castri: bass; Dhafer Youssef: voice, oud; Federico Sanesi: percussion; Quartetto Alborada: strings. 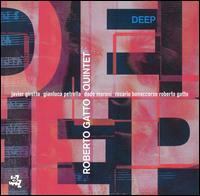 CAMJ 77602 GATTO, ROBERTO -QUINTET- DEEP 08/07/04 Javier Girotto (s); Gianluca Petrella (tb); Dado Moroni (p); Rosario Bonaccorso (b); Roberto Gatto (dr). 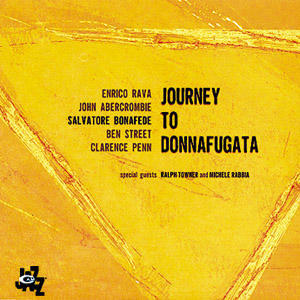 Recorded on 24, 25, and 26 February 2003 in Calvi dell'Umbria (Elettra Recording Studios). CAMJ 77472 GATTO, ROBERTO/RAVA, ENRICO/PIERANUNZI, ENRICO ROBERTO GATTO PLAYS RUGANTINO Enrico Rava, (tp, flh), Enrico Pieranunzi, (p), Stefano Mastrangelo (frh), Claudio Corvini (tp), Rosario Giuliani (as, ss), Gabriele Mirabassi (cls), Gianluca Petrella (tb), Massimo Pirone (tb, tu), Luca Bulgarelli (b), Roberto Gatto (dr). CAM 4983752 KONITZ, LEE/SOLAL, MARTIAL EUROPEAN EPISODE Lee Konitz (as), Martial Solal (p), Henry Texier (b), Daniel Humair (dr). Digital Remastering from the original LP. Recorded in Rome, Italy - 10/12/1968. CAM 4983762 KONITZ, LEE/SOLAL, MARTIAL IMPRESSIVE ROME Lee Konitz (as), Martial Solal (p), Henry Texier (b), Daniel Humair (dr). Digital Remastering from the original LP. Recorded in Rome, Italy - 10/12/1968. 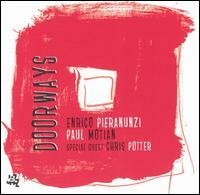 CAMJ 77652 PIERANUNZI, ENRICO DOORWAYS 09/09/04 Tenor saxophonist Chris POTTER, Enrico PIERANUNZI piano and drummer Paul MOTIAN. Recorded in Rome in December 2002 at Forum Music Village (Rome). CAMJ 77502 PIERANUNZI, ENRICO -TRIO- PLAY MORRICONE 08/07/04 Enrico Pieranunzi piano, Marc Johnson bass and Joey Baron drums. Recorded on 15 and 16 February 2001 in Rome (SONIC Recording Studios). 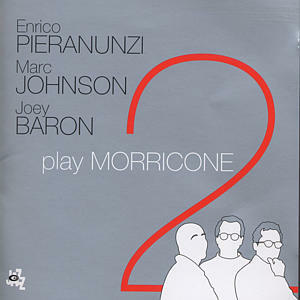 CAMJ 77632 PIERANUNZI, ENRICO -TRIO- PLAY MORRICONE VOL.2 08/07/04 Enrico Pieranunzi piano, Marc Johnson bass and Joey Baron drums. Recorded in June 2002 at Forum Music Village Studios (Rome). 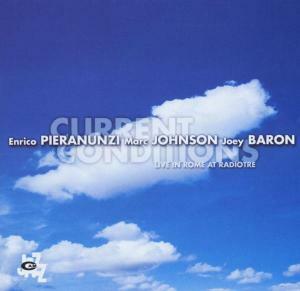 CAMJ 77562 PIERANUNZI/JOHNSON/BARON CURRENT CONDITIONS 08/07/04 Enrico Pieranunzi piano, Marc Johnson bass and Joey Baron drums. 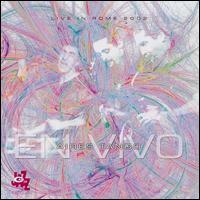 Recorded live on 28 November 2001 in Sala B RadioRai (Rome). 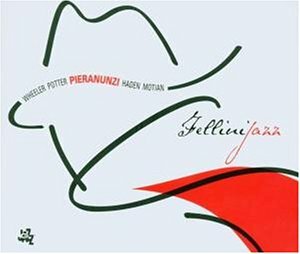 CAMJ 77612 PIERANUNZI/WHEELER/HADEN FELLINI JAZZ 08/07/04 Kenny Wheeler (tr); Chris Potter (s); Enrico Pieranunzi (p); Charlie Haden (b); Paul Motian (dr). Recorded on 3, 4, and 5 March 2003 in Rome (Forum Music Village). 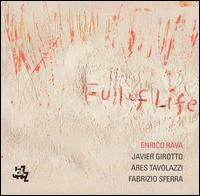 CAMJ 77592 RAVA, ENRICO FULL OF LIFE 08/07/04 Enrico Rava (trumpet, flugelhorn); Javier Girotto (baritone, soprano sax); Ares Tavolazzi (double bass); Fabrizio Sferra (drums). 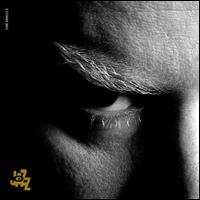 Recorded on 11 and 12 November 2002 in Cavalicco (Udine) (Artesuono Recording Studio). 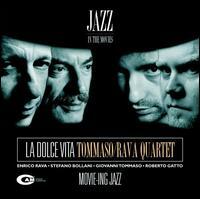 CAMJ 77462 TOMMASO, GIOVANNI/RAVA, ENRICO -QUINTET- LA DOLCE VITA Enrico Rava - trumpet & flugelhorn; Stefano Bollani - piano; Giovanni Tommaso - contrabass; Roberto Gatto - drums. Recorded in November 1999 in Rome (SONIC Recording Studios). 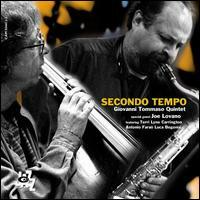 CAM 5044122 TOMMASO, GIOVANNI -QUINTET- SECONDO TEMPO Joe LOVANO (sax); Terri Lyne CARRINGTON (dr); Antonio FARAO' (p); Luca BEGONIA (tbone); Giovanni TOMMASO (b). Recorded in November 2000 in Rome (SONIC Recording Studios). CAMJ 77512 V/A CINECITTA' JAZZ IN THE MOVIES Music by: Lelio LUTTAZZI, Armando TROVAIOLI, Gianni FUSCO, Piero PICCIONI, Gianni FERRIO, Marcello GIOMBINI, Carlo RUSTICHELLI, Piero UMILIANI, Luiz BONFA, Francesco DE MASI, Luciano FINESCHI-Marcello GIGANTE, Benedetto GHIGLIA, Luis BACALOV, Aldo PIGA, Gianni MARCHETTI, Alessandro ALESSANDRONI, Enrico RAVA, Riz ORTOLANI, Ralph TOWNER. CAM 4983772 V/A WHAT HAPPENS?... ART FARMER PHIL WOODS TOGETHER Art Farmer (flh), Phil Woods (as), Martial Solal (p), Henry Texier (b), Daniel Humair (dr). Digital Remastering from the original LP. Recorded in Rome, Italy - 10/12/1968. CAMJ 5004 WHEELER, KENNY/JOHN TAYLOR WHERE DO WE GO FROM HERE? 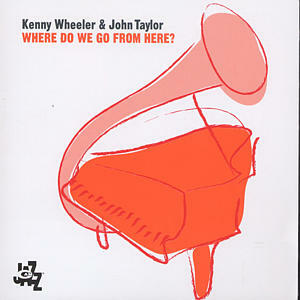 08/07/04 Kenny Wheeler (trumpet, flugelhorn) & John Taylor(piano). Recorded in February 2004 in Cavalicco (Udine) (Artesuono Recording Studio).